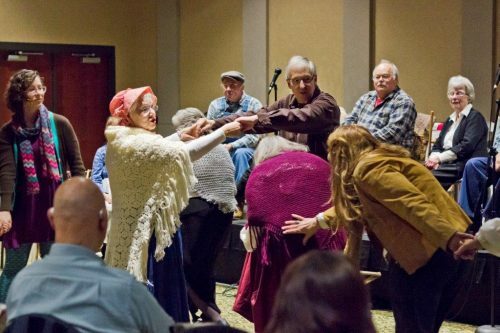 Storytellers teach audience members Appalachian dances at the Cleveland Storytelling Guild’s annual Old Christmas event. Photo by Matt Baker. Nowadays, having Christmas on December 25 is the default for most American celebrants. However, this wasn’t always the case. A century ago, December 25 (“new Christmas”) was only the beginning of the Christmas season in Appalachia. For many in the region, the real Christmas was twelve days later, on January 6. To understand why this was—and in some cases still is—the case, we must dig into the delightfully Appalachian story of Old Christmas. “Old Christmas” originated in the 1750s after the British government decided to change calendars. Previously, Britain used the Julian calendar, created by Julius Caesar in 45 BC, whereas Catholic countries like Spain had used the Gregorian calendar (the one we use today) since 1582. The main difference between the two calendars was that the Julian added too many leap days, making the calendar lag in relation to the sun. While the sun is ideally supposed to be in the same place in the sky every January 1, by the 1700s the Julian calendar had fallen eleven days behind the sun. 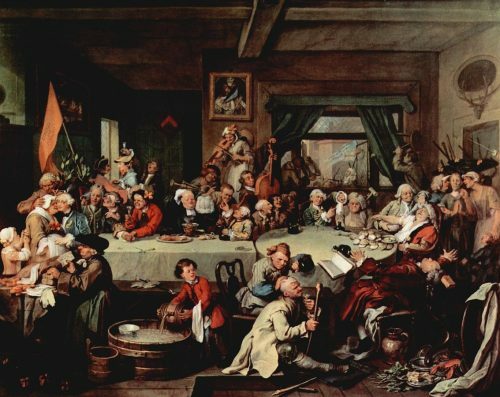 An Election Entertainment by William Hogarth. Parliament’s changes to the calendar were a major issue in the 1754 parliamentary election. Inspired by the controversy, Hogarth inserted a banner with the anti-Gregorian rallying cry “Give us our Eleven Days!” on the floor in the bottom right corner of the painting. Via Wikimedia Commons. According to Judy Baker of the Cleveland Storytelling Guild in Tennessee, the holiday arrived in Appalachia, then on the fringes of the British Empire, when Scots-Irish settlers in the isolated region either “didn’t get the word to change their calendars, or were too stubborn to change them.” By the 1800s people throughout Appalachia celebrated Old Christmas. Although the climax of the Christmas season was on January 6 for Old Christmas celebrants, Appalachians were by no means exclusive in their holidaymaking. Rather, they would “break up” Christmas, celebrating new Christmas on December 25 and Old Christmas on January 6. The intervening twelve days were a sort of Appalachian Mardi Gras. Every year, the Cleveland Storytelling Guild puts on a family-friendly event to commemorate “breaking up” Christmas, dressing their stage up as a house decked out for holiday celebrations. Dulcimer players teach the audience traditional dances and storytellers from the Guild regale the audience with folk tales. For her presentation this year, Judy plans to read “Old Christmas Morning,” a poem about the spirit of a murdered lover rising to life on Old Christmas. “It’s a bit scary, you know? But that’s how Old Christmas is supposed to be…a bit spooky,” she said. The aging grandmother began to sing “The Cherry-Tree Carol” [a 15th-century song associated with Old Christmas] and the other generations joined in…The father lifted the son up to the top of an undecorated pine tree standing in one corner of the room. 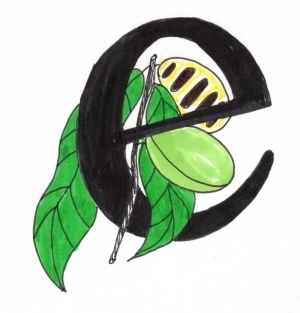 Then the boy inserted [a lit] candle into a holder which had been put on the highest branch. Nothing else was added to the tree. Its lone candle was like the “star of hope that guided the Wise Men to the manger long ago. After the excitement of breaking up Christmas, Old Christmas Day itself was a sober occasion for church-going and spending time with family. In one of the only accounts of Old Christmas that mentions race, people “both black and white” in North Carolina were said to abstain from work on Old Christmas Day in the early 1900s. While new Christmas has largely replaced the old, Judy stressed how the Guild’s work was important in helping Appalachian people remember their heritage. “Our people brought this with them across the mountains. It’s our roots,” she said. One community that has kept its Old Christmas roots alive is the Lutheran Church of the Atonement in Wilkesboro, North Carolina, a small town about an hour from Winston-Salem. 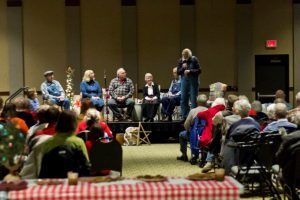 The Church of the Atonement is an older, smaller congregation—all the churches in Wilkesboro lost members when Lowe’s pulled its corporate headquarters out of town—but for 27 years, it’s hosted an annual Appalachian Christmas service in partnership with the Wilkes Acoustic Folk Society on the Sunday closest to January 6. Inspired by elderly Wilkesboro residents’ stories of celebrating Old Christmas, the service features bagpipes and dulcimers, as well as traditional hymns and scripture readings. The service ends with an invitation to the congregation to, as a community, help take down the church’s two large Christmas trees. “It’s the perfect end to Christmas,” said Pauletta Parker, the church’s music director. In many ways, Old Christmas seems the essential Appalachian holiday. On one level, the thought of Scots-Irish settlers stubbornly clinging to a slightly-off calendar for tradition’s sake evokes many stereotypes, both endearing and irksome. However, on a deeper level, Old Christmas speaks to Appalachians’ incredible imagination and capacity for cultural creativity. After all, rather than blindly rejecting a new holiday in favor of the old, Appalachian folk somehow managed to break up one Christmas into two. So, whenever and whatever you celebrate this holiday season, Merry Christmas and Happy Holidays to you.